We have had no snow as yet this winter, and so when I thought about what I might want to do for our Holiday card this year, I was forced to think beyond my usual snow-covered scene. As it turns out, the answer was literally right in front of me. This year’s card features our trusty Vermont Castings “Resolute” wood stove. Winters would not be nearly as cozy here without this essential piece of equipment. Warmest holiday wishes from us to you and yours! Foliage is at its peak here in New England, and the colors are gorgeous this year! I have been inspired to grab my camera many times over this past week. Looking through the results, I was further inspired to create some digital art for custom greeting cards. I have made some of these designs available for purchase in my Etsy shop, at https://www.etsy.com/shop/LynneFCreative. 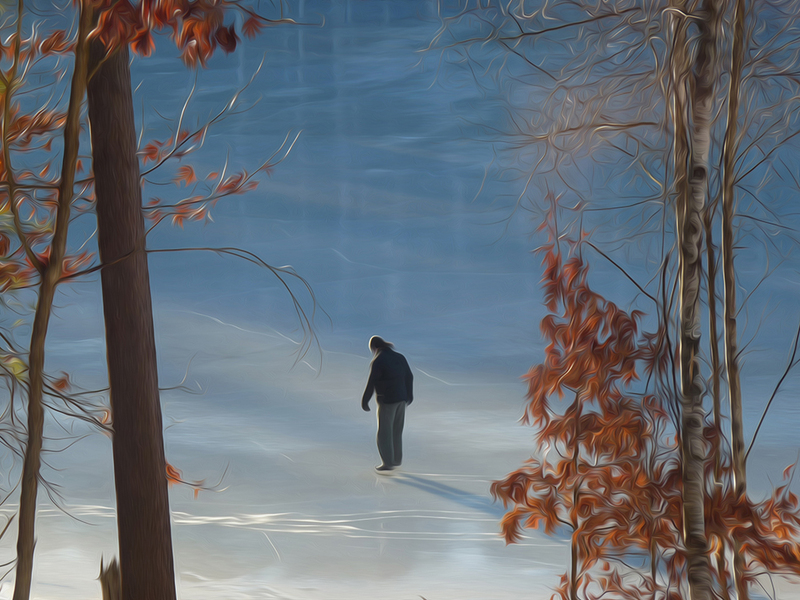 As you may have seen here, we had a few days of perfect ice on the pond last January – and no time was wasted in dusting off skates and getting out there to enjoy it! The light was just beautiful on this particular early morning, and so I grabbed my camera for a quick shot. And then things got busy, and the image languished on my hard drive for almost a year – until last week. I was casting around for the right image for our digital holiday card, and this one was decidedly “it”, after I used Photoshop to make it into “digital art.” Best wishes to all for a happy, healthy and prosperous New Year! Adding another image to my growing Photoshop filter-art collection. 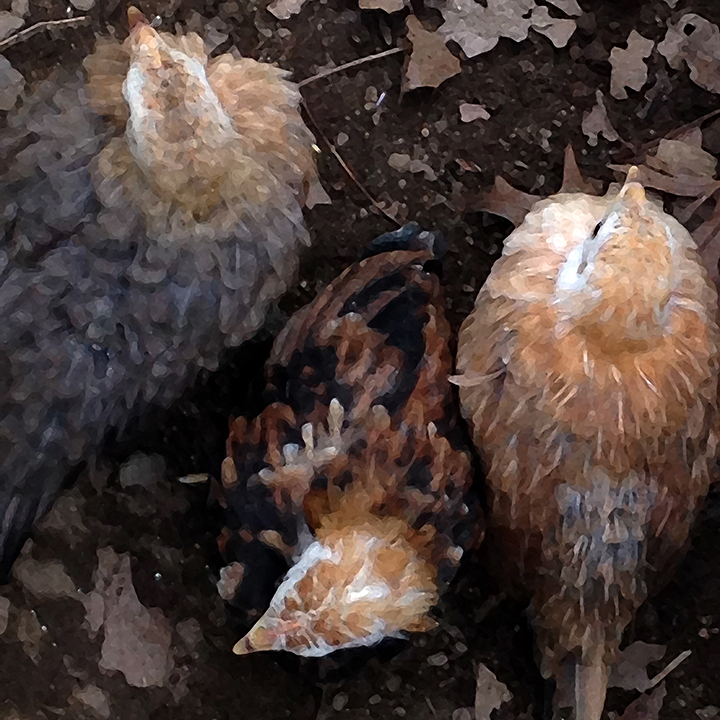 I liked this image of three young chickens, but it became even more interesting when I boosted the contrast and applied a dry brush effect! I’m on a bit of a Photoshop filter kick this summer! 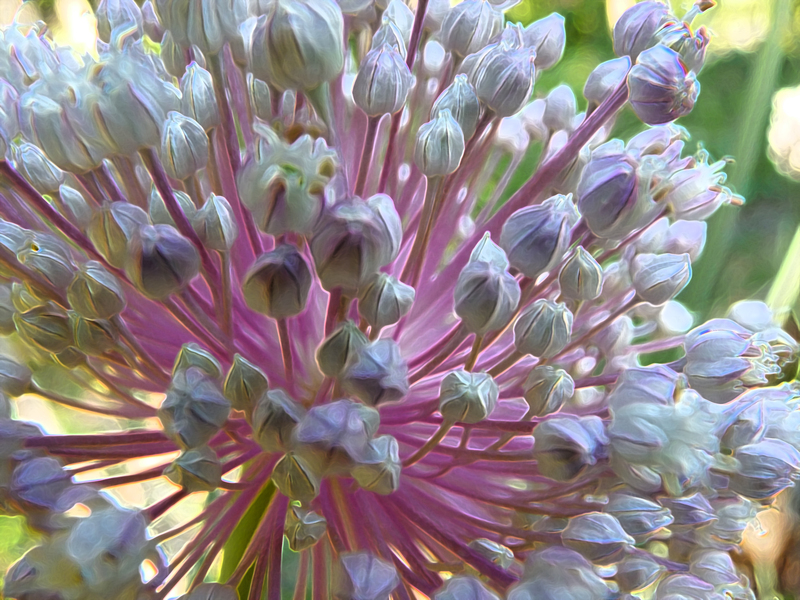 Here, an image of an Allium bloom taken in our garden, and enhanced with some retouching and filter work. We have taken to celebrating Friday evenings casually this summer with a friend or two, and a small, evening bonfire in our stone fire pit. It is a wonderful way to wind down the week and welcome the weekend. 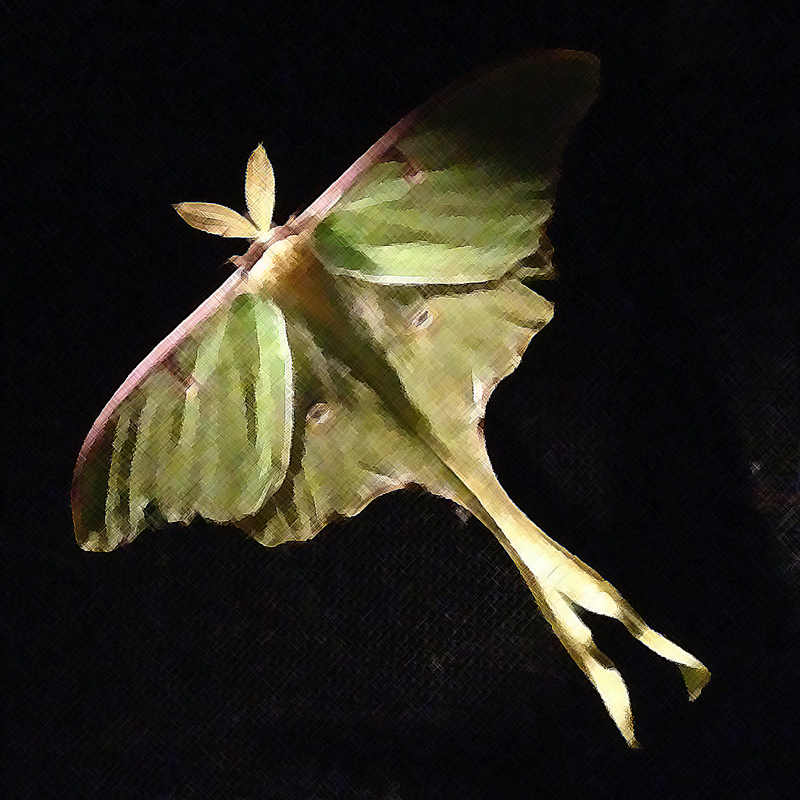 The other night, we were blessed with a visit from this stunning Luna Moth! This is a rare occurrence, as Luna Moths live for only about a week’s time and are generally active only at night. This is only the third time in my life that I have seen one. I managed to quickly capture an image using the camera in my cell phone before he continued on his way. Unfortunately, the resulting image file left a bit to be desired for clarity due to low (fire) light and a tiny lens. But some quick Photoshop tweaks turned my weak photo into a small photo-art memento that I love!